Pansy Light was created from a photograph taken by myself. It was enhanced in Photoshop to create the final image. I love pansies and loved the lighting on these blue pansies. I thought they stood out so well against the black background. 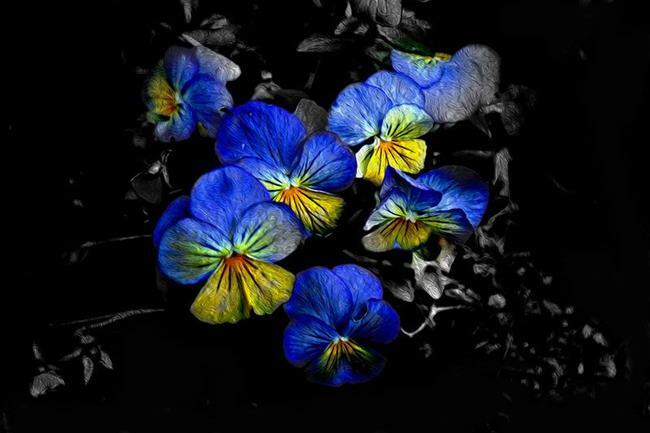 I made the background black and white to enhance the blue and the light on the pansies. This will be entered in the Pansy Show.